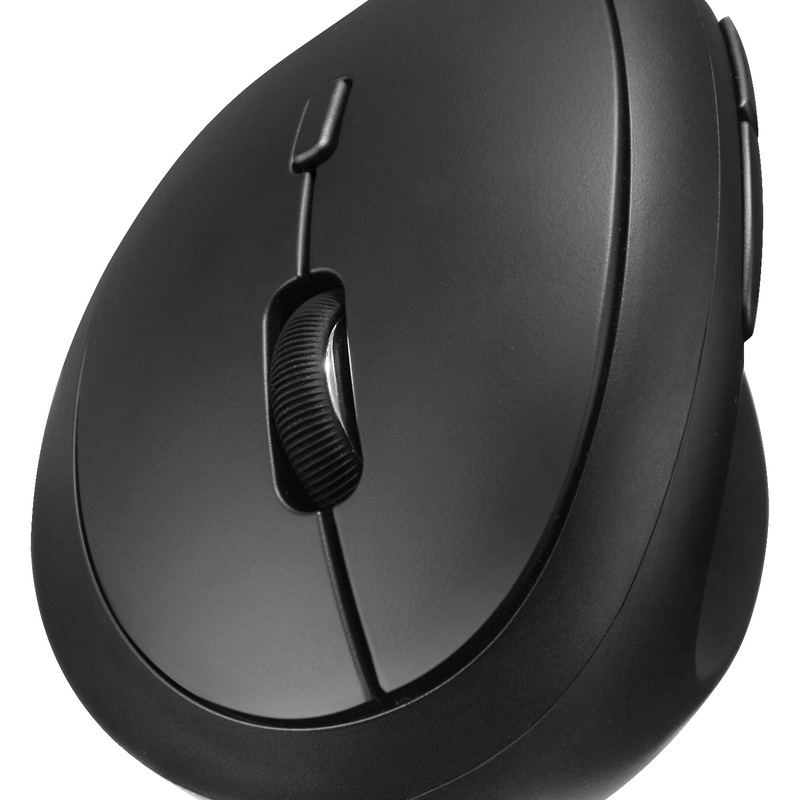 The special vertical ergonomic design with a soft rubber grip of the iMouse™ V10 creates a unique and comfortable user experience. 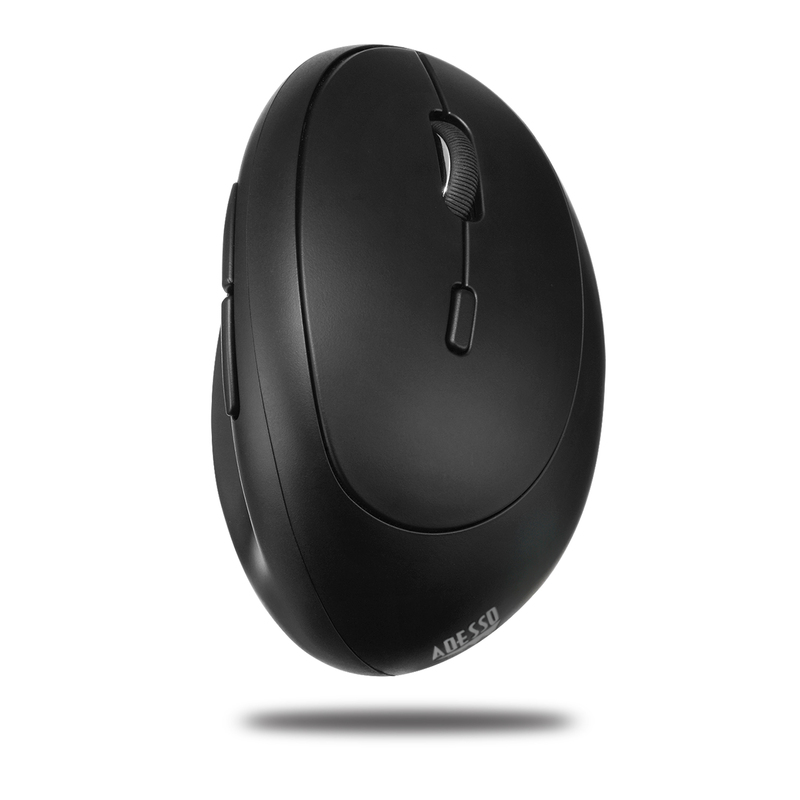 Its two buttons located conveniently on the side allow for faster back and forward browsing control. 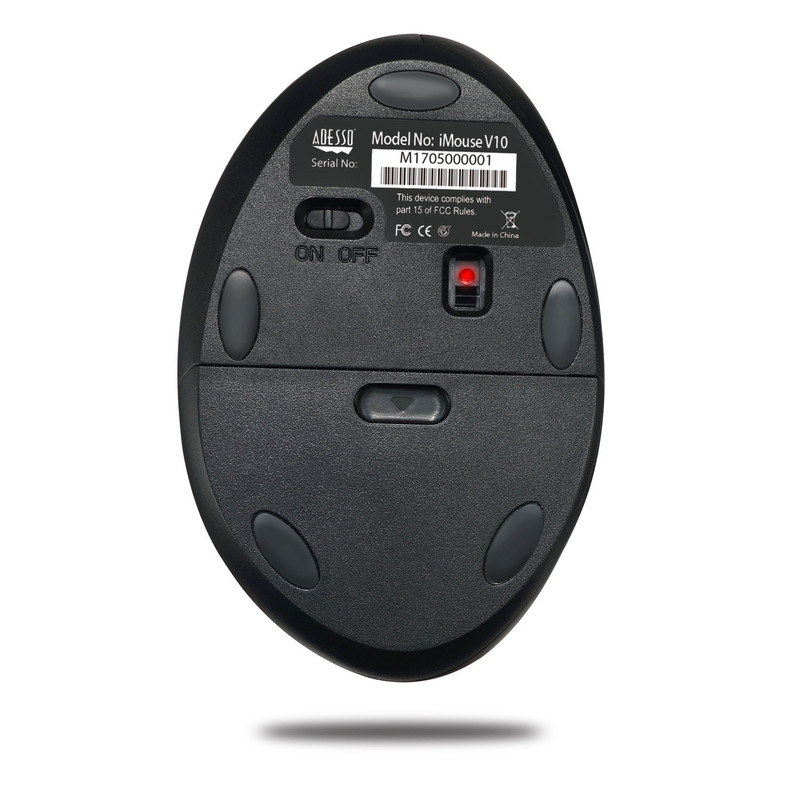 There are three available levels of DPI resolutions to choose from (800/1200/1600) and with its 2.4 GHz Radio Frequency technology, the iMouse™ V10 is wireless up to a range of 30 feet. To conserve battery power, there is a a built-in On/Off power switch as well as an indicator light letting you know when it is time to replace your battery. 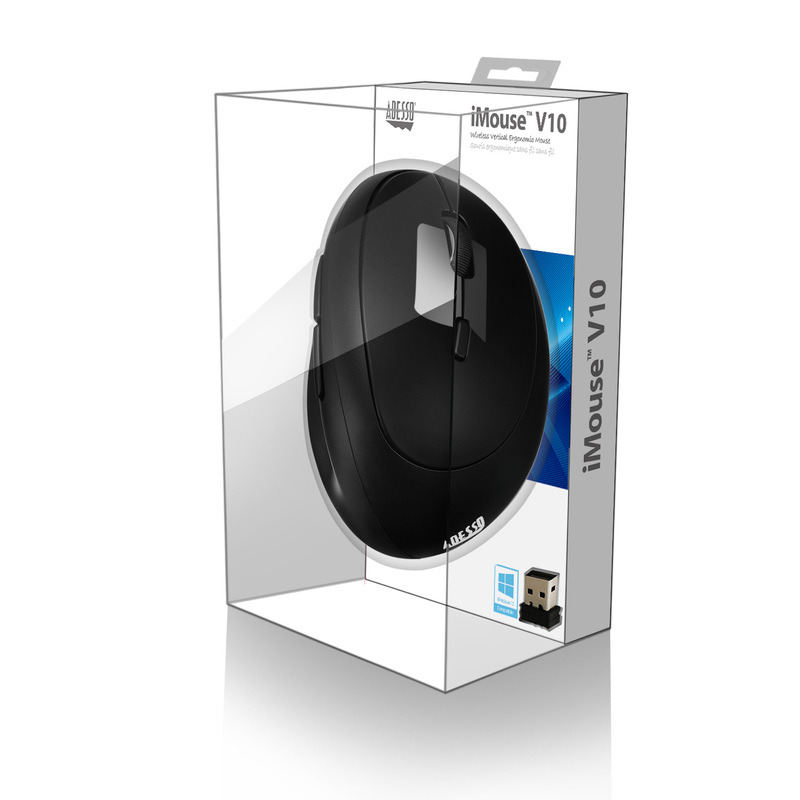 iMouse™ V10 also comes with a mini USB receiver that connects automatically without any hassle. 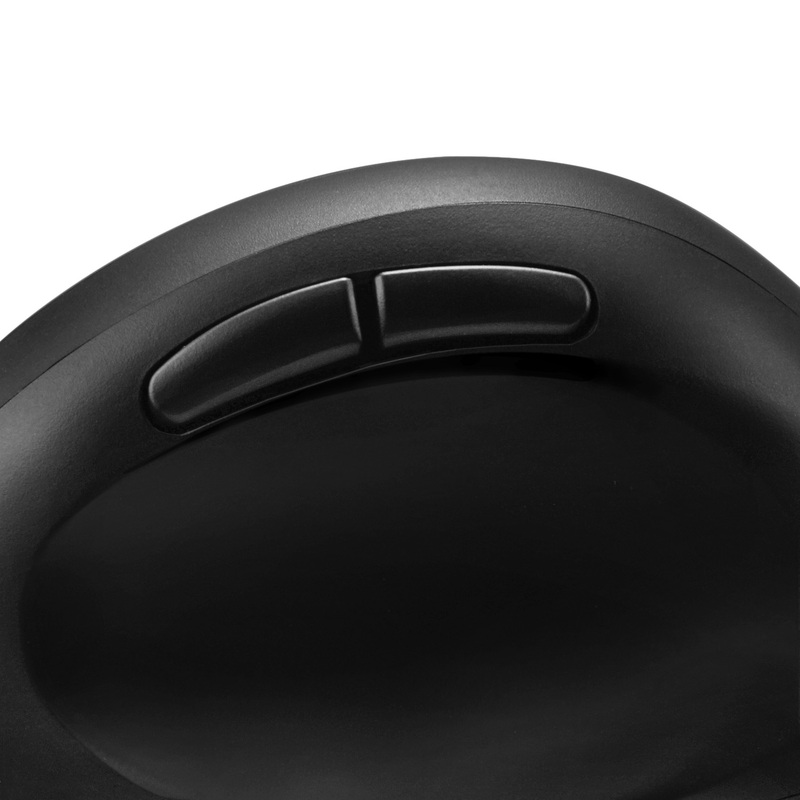 The 2.4GHz Wireless Technology has 65536 IDs with 12 channels and works up to 30 feet. This provides the reliability to ensure your other wireless devices will not interfere with your mouse. 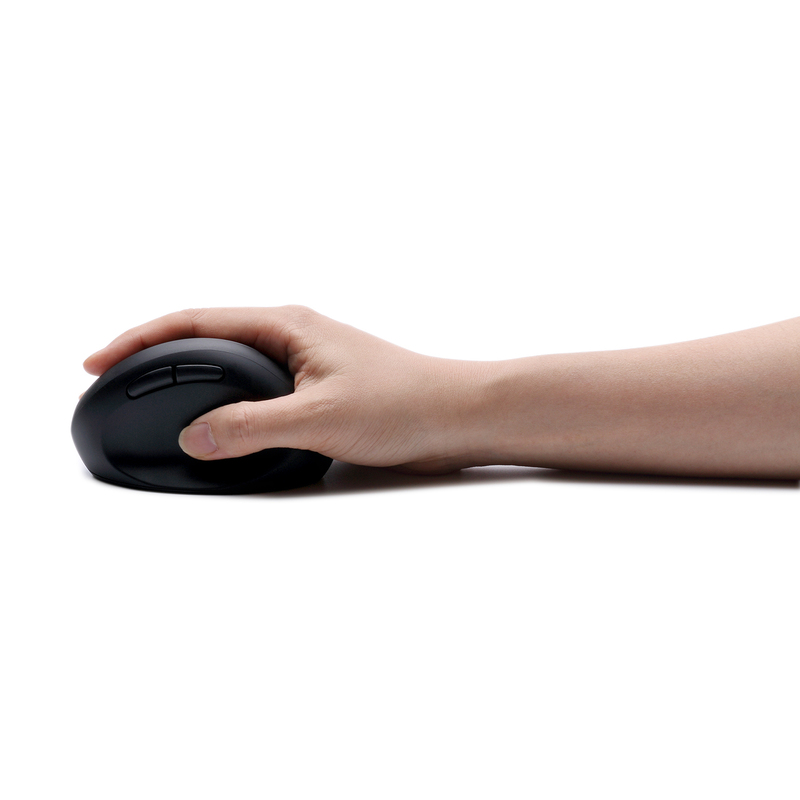 Our vertical ergonomic design helps you achieve a more natural grip, better forearm support, and a more natural wrist position. 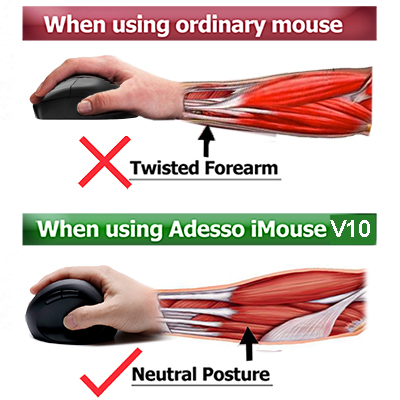 Unlike traditional mice, the Adesso iMouse™ V10 will fit right into the grasp of your palm and provides better support for your forearm, which minimizes wrist pain that often result from forearm muscles twisting. Attain higher precision and better accuracy with your choice of adjustable DPI levels. 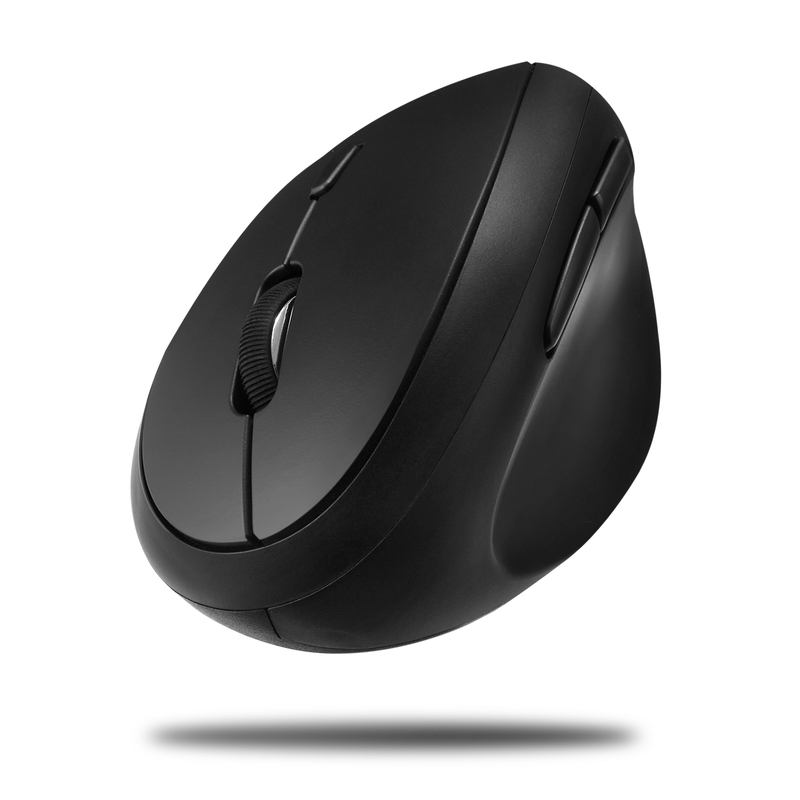 Easily switch from 3 different DPI levels from 800, 1200, to 1600. 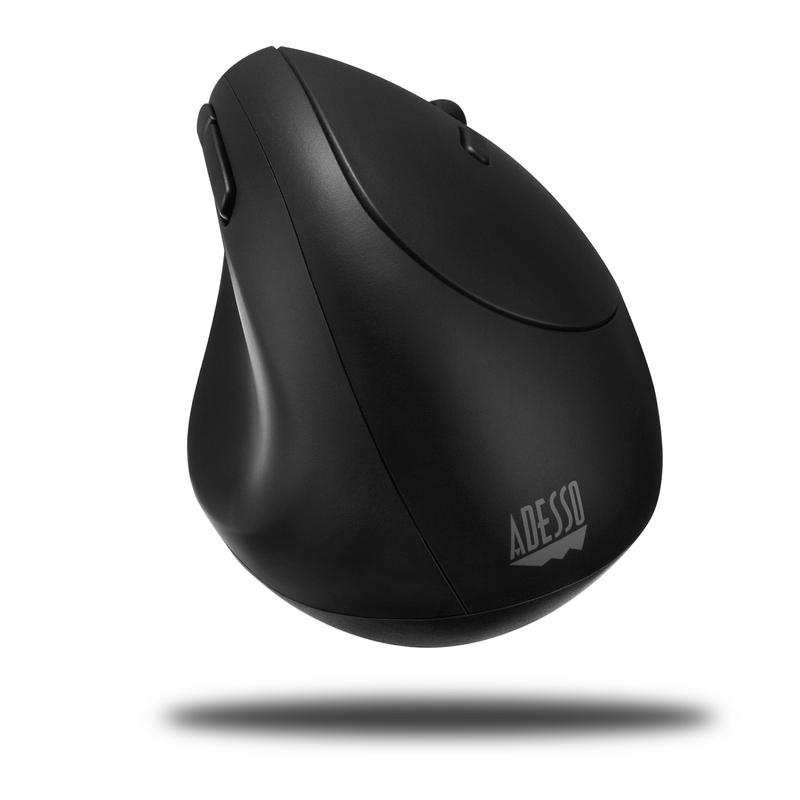 The easily-accessible DPI button lets you quickly switch cursor sensitivities between the various computer tasks you have throughout the day. 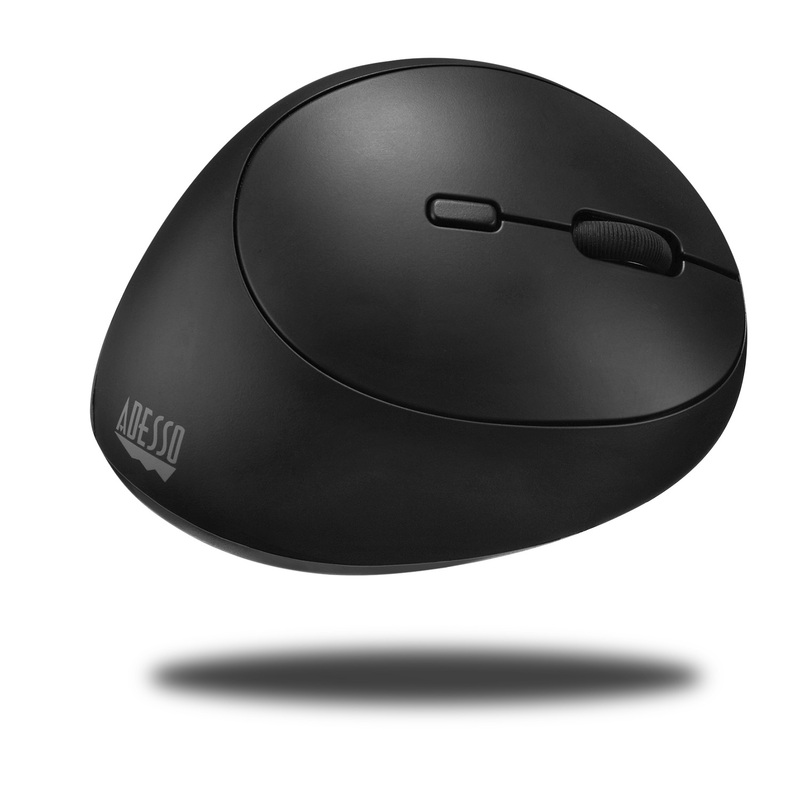 Enhanced Optical Sensor Optical sensor technology precisely and accurately tracks cursor movement and lets you work on most wood, marble and leather surfaces without the need of a mousepad.